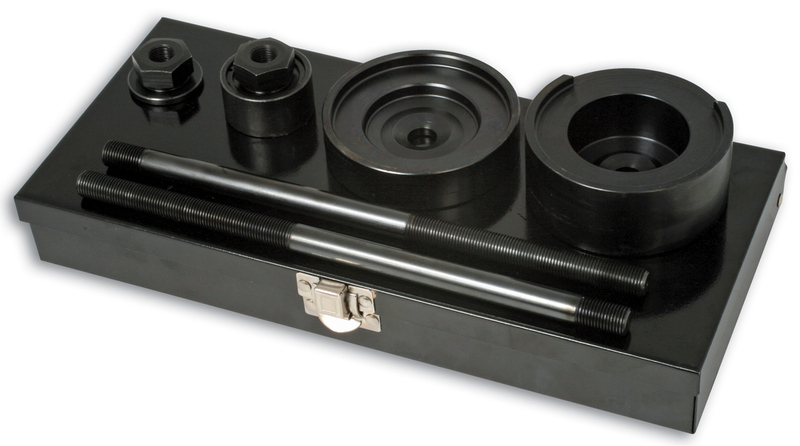 This tool is essential for replacing the bonded rubber | plastic rear axle mounting bushes fitted to VAG vehicles, without removing the rear axle assembly from the vehicle. The drive screw and nut should be lubricated before and after every use. 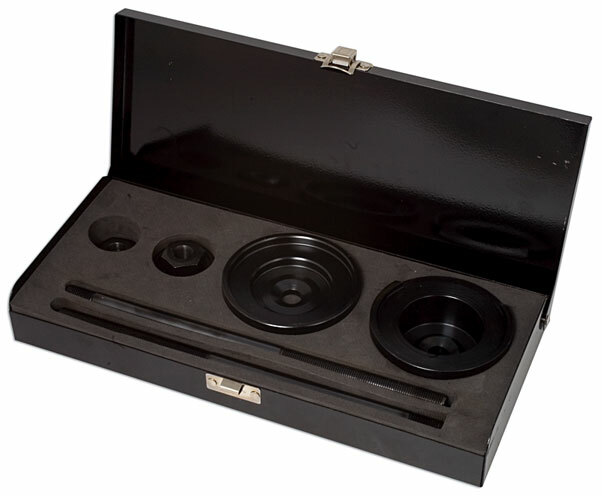 Spares are available: Coarse Bar (0964), Fine Bar (1143) Nut and Washer (1027), Nut and Bearing (1028). Primarily for use with Audi A3, Volkswagen Gold IV, Bora 1.4/1.6/1.8/2.0 and 1.9D (01-03). Supplied in a metal case with foam tray. 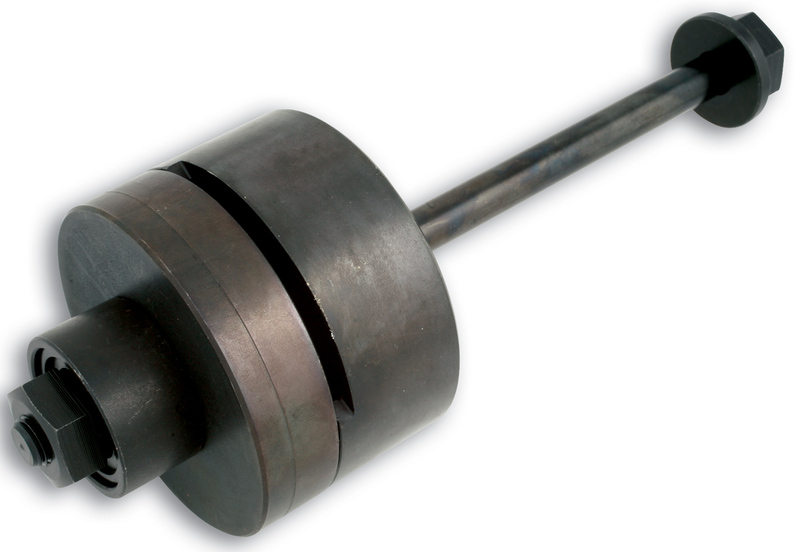 It's thrust bearing allows the bush to be fitted quickly and easily without causing damage. The drive screw and nut should be lubricated before and after every use. 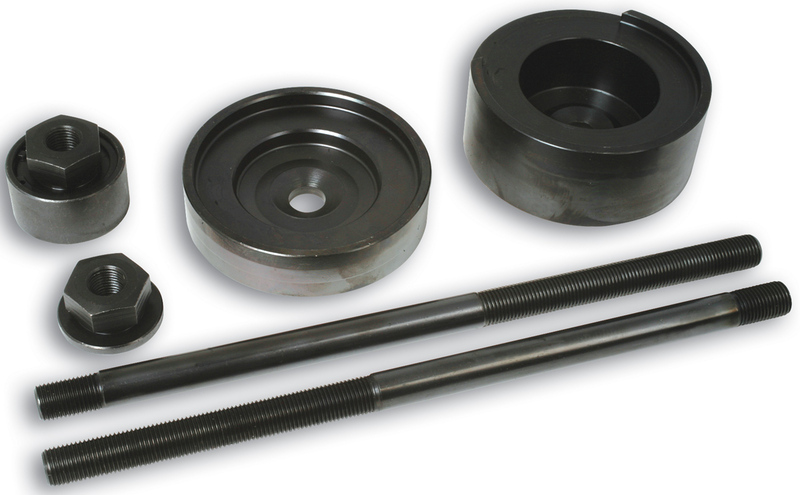 Spares are available: threaded bar - Part No. 1143, nut and washer - Part No. 1027, nut and bearing - Part No. 1028. Primarily for use with Audi A3, Volkswagen Golf IV, Bora 1.4 | 1.6 | 1.8 | 2.0 and 1.9D (01-03). Laser Tools continue to be first the market with a range of cutting edge of the vehicle specific tools market. New to the range is their new Rear Bush Installer (part 4188), essential for the replacement of bonded rubber/plastic rear axle mounting bushes fitted to VAG vehicles.